JoPa wins at Ohio State for the first time in 30 years. The Trojans travel to Arizona to take on U of A on 25OCT08. According to bodog, USC is favored by 15. The USC Blog predicts USC to win by 4. Both Damian Williams and Joe McKnight are cleared to play against Arizona. 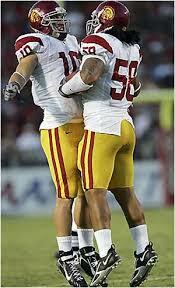 In other news, two Trojans have been selected for the mid-season All-American team: Fili Moala and Kevin Ellison. The Trojans were favored by 42 points. They covered and then some. USC scored 41 points during the first half. The final score: USC 69, WSU 0. Mark Sanchez had 5 TD passes. USC had three running backs, Green, Johnson, and Gable, all with over 100 yards. The Men of Troy take on Washington State on 18OCT08. The Trojans are favored by 42 points, according to bodog. 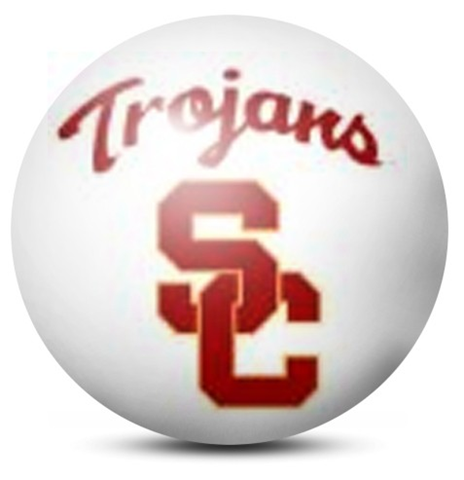 Not that the Trojans have always triumphed when they are favored, but this should be a big win for USC. Trojans Brian Cushing and Rey Maualuga were among the 12 semifinalists announced for the Lombardi Award. The Lombardi Award goes annually to the college football lineman — offense or defense — who, in addition to outstanding performance and ability, best exemplifies the discipline of Vince Lombardi. The Men of Troy will be playing at Washington State on 10OCT08. David Buehler is better at kicking touchbacks than any other kicker in the country. Fili Moala was named Pac-10 special teams player of the week. Joe McKnight missed his second practice this week. Vidal Hazelton is still hampered by an ankle injury, but is not expected to redshirt. “He had fun, loved it and had a big light in his eye because he had a blast,” Carroll said. The look, and the confidence that produced it, was in stark contrast to the mostly tentative vibe Mustain gave off as he attempted to learn and consistently execute the Trojans’ offense. In high school, Mustain deftly ran a spread attack almost exclusively from the shotgun formation. The scheme was similar at Arkansas, where his high school coach was hired as offensive coordinator.